In addition to filling balloons at birthday parties, helium can be found scattered throughout the cosmos. To date, however, scientists have struggled to detect the ubiquitous element on distant worlds, even though the gas is certain to be there. But that’s now changed, thanks to the discovery of helium on a Jupiter-sized world located 200 light-years from Earth—but that’s only part of the story. But now, using Wide Field Camera 3 on NASA’s Hubble Space Telescope, Spake’s team managed to detect this strangely elusive substance, marking the first time that helium has been detected on a planet outside of our Solar System. 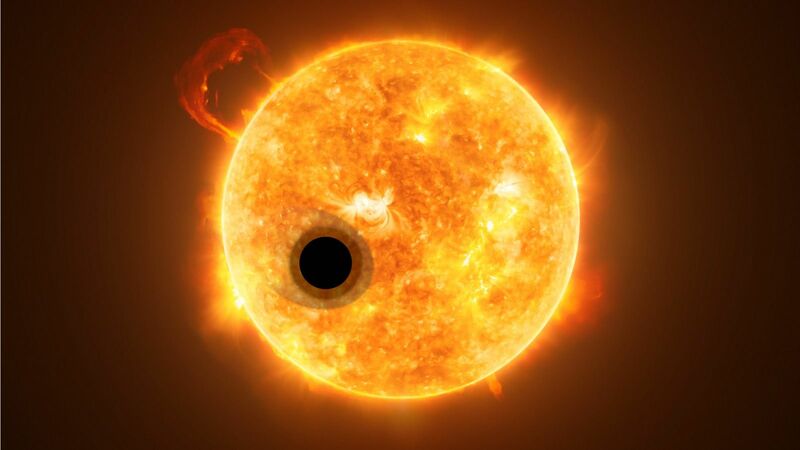 The key to the finding was the use of infrared spectra to study the exoplanet’s atmosphere, whereas previous attempts used ultraviolet and optical wavelengths. This study now shows that the composition of exoplanetary atmospheres can indeed be studied at longer wavelengths. The details of this discovery were published yesterday in Nature.